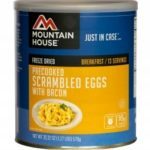 If you’re craving protein but don’t have the means (or culinary expertise) to cook up some meat, MOUNTAIN HOUSE Freeze Dried DICED CHICKEN is the answer. 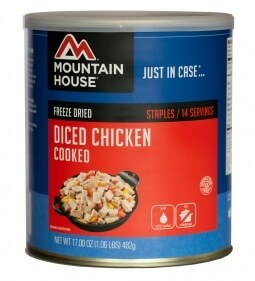 With 14 servings of real, precooked cubes of chicken in each can, our Diced Chicken makes a great addition to your emergency food supply. 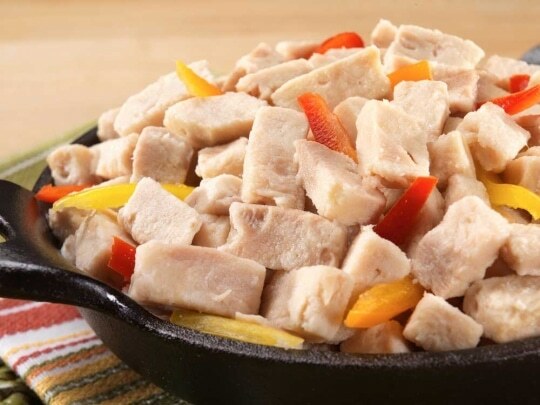 All you need is hot water and 10 minutes of your time, and you’ll have tender chunks of chicken to enjoy with any meal. 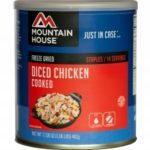 Really – you can use Mountain House Diced Chicken in any dish such as pasta, rice bowls, burritos, salad … get those creative juices flowing! 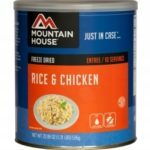 rket chicken? 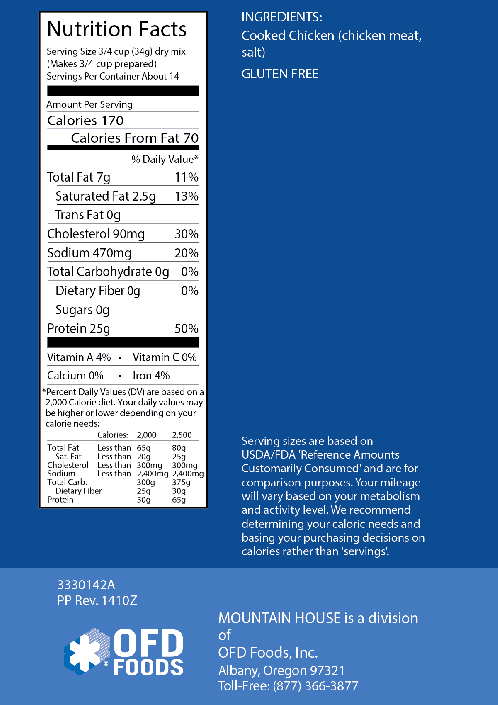 It has a shelf life of 30+ years, yet offers all the same delicious flavor of fresh chicken. 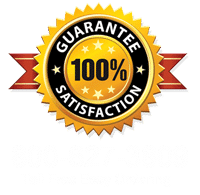 That’s because we freeze dry it, which preserves the nutritional value and flavor of the chicken while extending its life. Isn’t science cool? 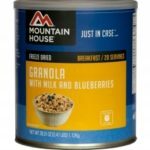 Combine that extra-long shelf life with the enormous value (14 servings!) 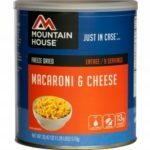 in this can, and you’ve got yourself a great investment for your emergency food supply. 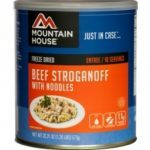 Be prepared for whatever life throws your way – stock up on our freeze dried chicken today.